Austria is located in central Europe. The capital of Austria is Vienna, located in northeastern Austria. 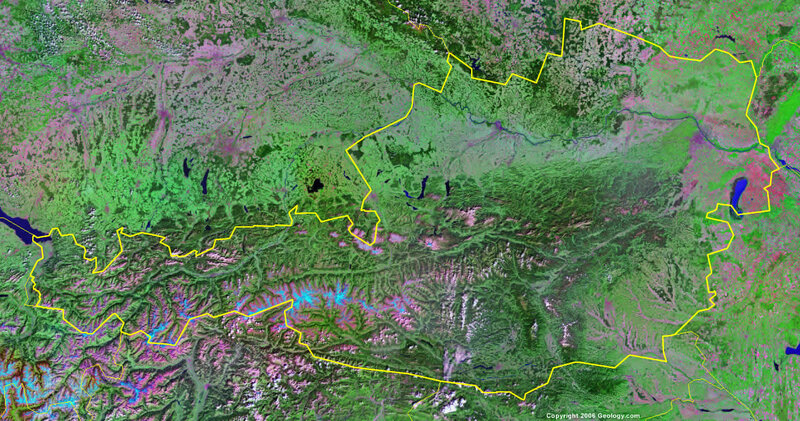 Germany and the Czech Republic border to the north, Slovakia and Hungary border to the south, and Switzerland and Liechtenstein border to the west. Google Earth is a free program from Google that allows you to explore satellite images showing the cities and landscapes of Austria and all of Europe in fantastic detail. It works on your desktop computer, tablet, or mobile phone. The images in many areas are detailed enough that you can see houses, vehicles and even people on a city street. Google Earth is free and easy-to-use. Austria is one of nearly 200 countries illustrated on our Blue Ocean Laminated Map of the World. This map shows a combination of political and physical features. It includes country boundaries, major cities, major mountains in shaded relief, ocean depth in blue color gradient, along with many other features. This is a great map for students, schools, offices and anywhere that a nice map of the world is needed for education, display or decor. If you are interested in Austria and the geography of Europe our large laminated map of Europe might be just what you need. It is a large political map of Europe that also shows many of the continent's physical features in color or shaded relief. Major lakes, rivers,cities, roads, country boundaries, coastlines and surrounding islands are all shown on the map. Amstetten, Baden, Bregens, Dornbirn, Eisenstadt, Graz, Hallein, Hohenems, Innsbruck, Kapfenberg, Klagenfurt, Koflach, Krems, Kufstein, Leibeb, Leoben, Liezen, Linz, Murzzuschlag, Neuenkirchen, Saalfelden, Sankt Polten (St. Polten), Salzburg, Steyr, Ternitz, Vienna (Wien), Villach, Voitsberg, Wels, and Wolfsberg. Burgenland, Carinthia (Karnten), Lower Austria (Niederosterreich), Salzburg, Styria (Steiermark), Tyrol (Tirol), Upper Austria (Oberosterreich), Vienna (Wien), and Vorarlberg. Achensee, Alpen, Attersee, Bodensee (Lake Constance), Donau (Danube River), Drava River, Enns River, Inn River, Isar River, Karwendel Alpen, Lech River, Lechtaler Alpen, Millstatter See, Mondsee, Mur River, Neusiedler See, Ossiacher See, Raab River, Salzach River, Stubaier, The Alps, Thaya River, Traun River, Traunsee, Wolfgangsee, Worther See and Zillertaler Alpen. The metallic resources of Austria include iron ore, copper, zinc, antimony, magnesite and tungsten. Fossil fuel resources include oil, coal, and lignite. Other resources include timber, graphite, salt and hydropower. Austria has natural hazard issues relating to the land. These include earthquakes, landslides, and avalanches. The land-locked country of Austria has some forest degradation caused by both air and soil pollution. The soil pollution is a result of the use of agricultural chemicals. The air pollution results from emissions by coal- and oil-fired power stations, and industrial plants. Because Austria is strategically located at the crossroads of central Europe, it is also receives air pollution from the trucks transiting between northern and southern Europe.